Surface Imperfection maps are high quality textures, scanned from real surfaces. They are not traditional diffuse textures, but are scans of the subtle imperfections that are shared by most materials, such as smudges, scratches and fingerprints. As glossiness or anisotropy maps, to add realistic surface imperfections to reflective surfaces such as glass, metal and plastic. Bump maps for realistic micro-scratches, for creating subtle impurities in materials like plastic and paint, and more. Extra detail on windows, monitors, mirrors and other reflective surfaces that require that extra glint of realism. Texture painting stamps and brushes source material. Masks for layered materials and procedural shaders. Combined with triplanar mapping, you can quickly create complex materials, with worn edges and dirty crevices that adapt to any geometry. Overlays on lens flares and glare in compositing, emulating dirty lenses or camera housing. The raw, full color scans are especially suited for this. Mix with plain colors in your materials to break them up and add variation. No color is perfect. The Surface Imperfections Volume 1 library by David Gruwier is the original collection of 50+ premium tiled textures, featuring a mix of scratches, dust specs, smudges, fingerprints, hairs, residue, isolated fingerprints and even full palm print, all scanned from real surfaces and meticulously tiled. Files are delivered in 4096x4096 16bit TIFF, and there are optional 2k 8bit tiff and a 4k 8bit jpeg versions included as well. Unique to this pack, the raw, unprocessed 6K+ full color scans are also included as an optional download. These constitute a useful texture library in and of themselves. 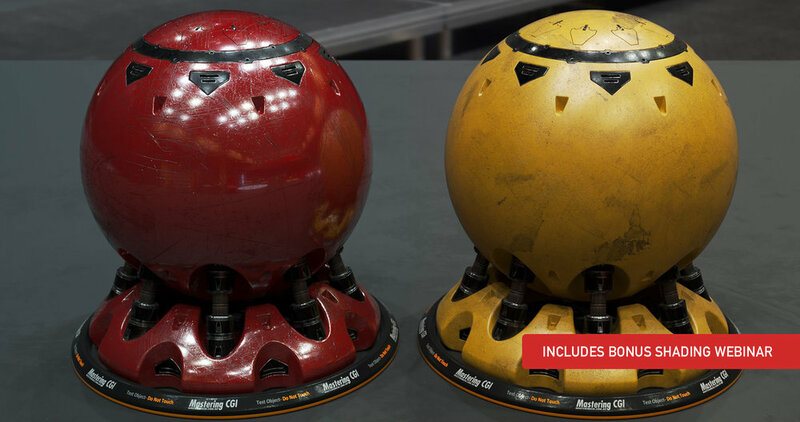 Also included is a full lesson by Grant Warwick of Mastering CGI, demonstrating how to use Surface Imperfection to create advanced, highly realistic materials for professional CGI work. Grant covers all the basics you need to know to make the most of this library. The Surface Imperfection scans contain microscopic levels of detail, allowing for unprecedented up-close detail. Every dust grain and every scratch is clearly resolved, and even the individual ridges of the fingerprints have visible details. All scans were captured with no clipping in the blacks or whites, so that even the small, super bright details are never blown out. In addition, everything was scanned and processed in full 16-bit, leaving plenty of room for adjustments. Every texture was tiled by carefully wrapping the natural continuation of the scan back over itself, so that there are no clone stamping artifacts. Masking and adjustments were done by hand to ensure perfect seamless tiling. The Surface Imperfection maps open up for some very advanced shading techniques. For example, the fingerprint and smudge textures can be used as anisotropy rotation/orientation maps for a realistic look, that more accurately emulates how highlights are stretched across fingerprints on glossy surfaces. The scans were made of surfaces between 10 and 30 centimeters wide, but can be used creatively at much larger scales, because of their organic nature. I have used them for everything from smartphone displays, to cars, to buildings and even large scale landscapes.